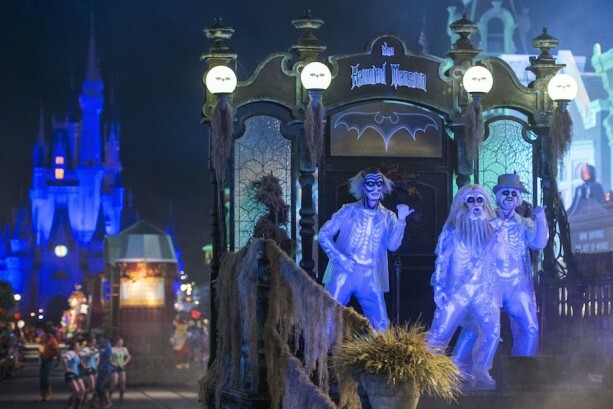 Mickey’s Not So Scary Halloween Party returns to Walt Disney World’s Magic Kingdom on select nights September 1- November 1, 2015, with some new additions and returning favorites. With the parties beginning this week, I thought I would share 10 Things to Know On the Go – 2015 Mickey’s Not So Scary Halloween Party. 1. Mickey’s Not So Scary Halloween Party officially begins at 7 pm and concludes at midnight, however guests may enter the park at 4 pm before the festivities begin. 2. 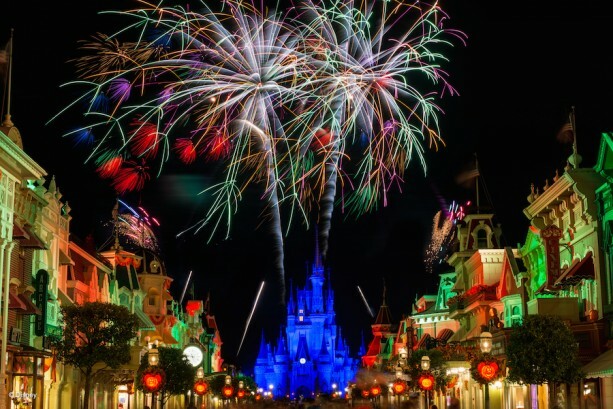 Happy HalloWishes will begin at 10 pm, which is a little later than last year, so you will want to pace younger party goers as they surely won’t want to miss these fireworks! 3. The ever popular Boo-To- You Parade steps off in Frontierland twice during Mickey’s Not So Scary Halloween Party at new times of 8:35 pm and 11:15 pm. 4. If you love a Holiday cupcake or treat, then Mickey’s Not So Scary Halloween Party has you covered. At Gaston’s Tavern you will find a special Ghost cupcake, Storybook Treats will be offering Candy Corn soft serve ice cream, The Main Street Bakery will have two special cupcakes – a spider cupcake and monster cupcake- and a Halloween Cookie, The Plaza Ice Cream Parlor will have a Halloween Cookie Ice Cream Sandwich, and you will be able to find Candy Corn Cotton Candy throughout the park. 5. 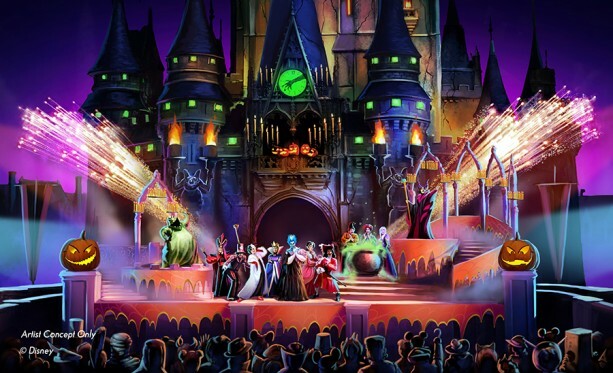 Hocus Pocus Villain Spelltacular: This new and highly anticipated addition to Mickey’s Not So Scary Halloween Party takes place at 8 pm, 9:20 pm, 10:40 pm, and 12 am. In Hocus Pocus Villain Spelltacular the mischievous Sanderson Sisters from Disney’s “Hocus Pocus” return to the mortal world for one night during the Halloween season. With only a few hours to run amuck, the three sisters decide to use their magic to throw the best, evil Halloween party this side of the graveyard! 6. Special Characters: You can meet some of your favorite Disney Characters in their Halloween costumes as well as meet characters who are exclusively visiting guests during Mickey’s Not So Scary Halloween Party. You will find the character locations on the event map, and the Character Attendants are really helpful in letting you know when they will be meeting if they are not there. 7. 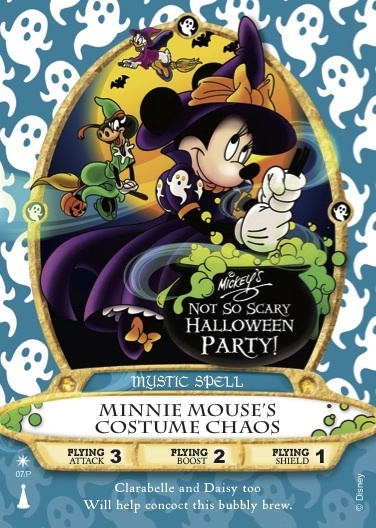 Sorcerers of the Magic Kingdom: As in years past, there is a Mickey’s Not So Scary Halloween Party Exclusive Sorcerers of the Magic Kingdom Card that is available at the Firestation on Main Street U.S.A.
8. 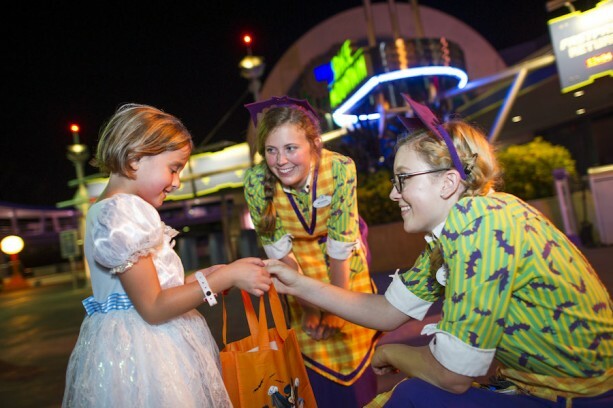 Trick-or-Treat Opportunities: Adults and children can Trick-or-Treat together at Mickey’s Not So Scary Halloween Party with 11 Candy Spots and a Trick-or-Treat Trail in Fantasyland that begins near the Fantasyland Railroad Station in Storybook Circus. 9. 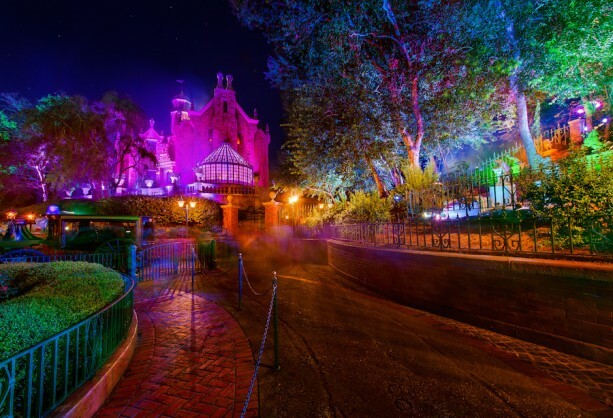 Attractions: During Mickey’s Not So Scary Halloween Party you will find that there are 26 attractions that will be open, but it is important to note that you will not be able to schedule any FastPass+ times during the party. 10. It wouldn’t be a Mickey’s Not So Scary Halloween Party without exclusive party merchandise! This year there will be a special edition MagicBand, a special edition Trading Pin, and of course the event T-Shirt. You can get them at the Emporium, and at Frontier Trading Post for the pin. We’ll be at tonight’s first Mickey’s Not So Scary Halloween Party and on September 18th, so make sure you follow us on Twitter, Facebook, and Instagram! 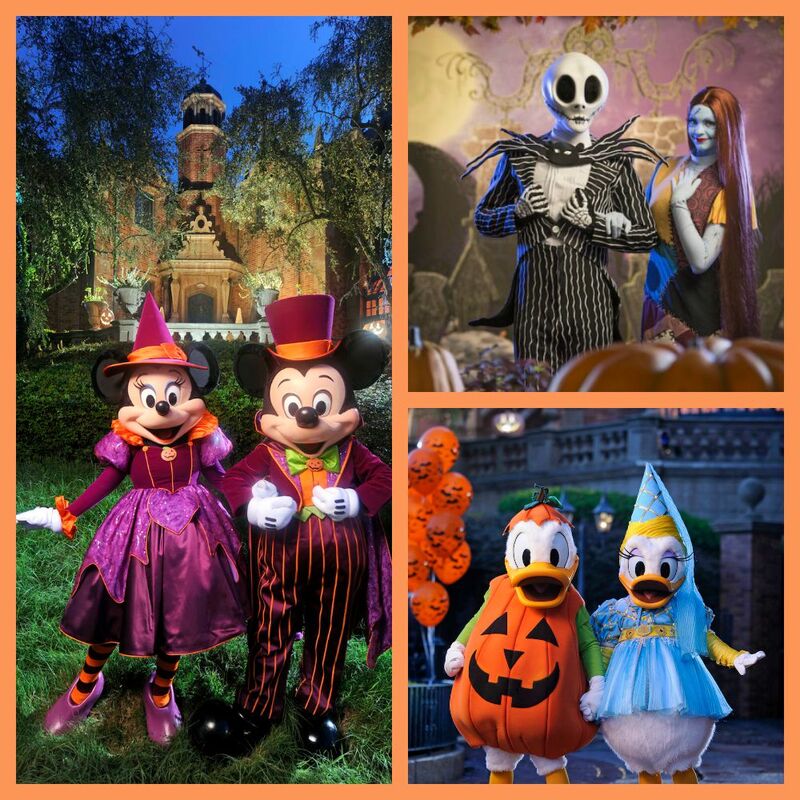 For more information and to purchase tickets to Mickey’s Not So Scary Halloween Party visit the official website, and happy start of the Halloween Season! SCREAM-A-GEDDON, a new horrifying Halloween attraction coming to Tampa Bay, will begin haunting the public on Friday, September 25th, 2015. The new horror park features six haunted attractions with a Monster Midway spread over a sinister 60 acres of Old Florida forest. The owners and operators of SCREAM-A-GEDDON bring to bear their combined expertise running similar attractions across the country to create a unique Horror Park in the Central Florida area. The park features several never-before-seen, bone-chilling attractions with Hollywood special effects and exclusive interactive elements throughout the park. SCREAM-A-GEDDON will be open to the public on select nights from September 25th through November 1st. For more information, please visit www.SCREAMAGEDDON.com. SCREAM-A-GEDDON is the newest Halloween attraction in the Tampa Bay area featuring six horrifying attractions spread over 60 acres. The “Monster Midway” will feature carnival games and a variety of food and beverages, including beer. For more information about SCREAM-A-GEDDON, please visit www.SCREAMAGEDDON.com.